Planning your legacy now will ensure that your love of the arts will be there for future generations to enjoy. As you create this lasting legacy for you and your family, we hope you will consider making a Planned Gift to the Warner Theatre. 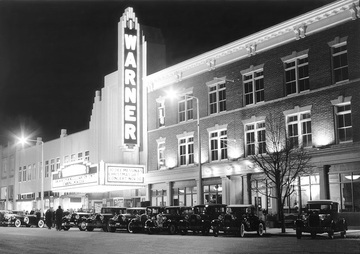 Planned Giving can provide significant financial benefits to both you and the Warner, ensuring that the theatre maintains its position as a cultural force in this community long into the future. When you include a gift to the Warner Theatre in your overall estate and financial plans, you become an integral part of our future and provide long-term support for our mission. Your financial adviser can advise you on the many ways that you can plan for your loved ones and include a philanthropic gift to the Warner Theatre in your planning. Bequests: The easiest way to include the Warner Theatre in your estate plan is with a charitable bequest in your will. The reason for making a will is to have peace of mind knowing that your intentions for your family and friends will be followed and your philanthropic endeavors will ﻿continue. A charitable bequest in your will is an effective way of providing for the Warner Theatre while retaining your assets throughout your lifetime. Just a few sentences in your will or trust are all that is needed, designating a bequest to the Warner Theatre for a written amount or percentage of your estate or property. Life Insurance: Designate the Warner Theatre as a beneficiary on a life insurance policy. Retirement Plan Assets: Designate a percentage of your retirement plan assets to benefit the Warner Theatre. Securities: Donate stocks, bonds or mutual funds that you have owned for more than one year and avoid paying capital gains tax on appreciation. Property: Donate a valuable collection or item such as a work of art, jewelry or piece of real estate. Charitable Remainder Trust: Arrange a charitable remainder trust to benefit the Warner Theatre. Charitable Lead Trust: Set up a charitable lead trust that supports the Warner Theatre for a set period of time and helps preserve your loved ones’ inheritance. If you would like to leave a bequest in your will or make a planned gift we welcome the opportunity to work with you and your financial adviser to determine the Planned Giving strategy that will meet your own personal and financial goals. For more information or to make an appointment, please contact Donna Marconi, Development Manager at 860-489-7180 x 189.